Los Cabos Magazine has been providing comprehensive information for Los Cabos travelers since 1993 and includes editorial material and detailed maps for Cabo San Lucas, San Jose del Cabo and the Los Cabos area of Baja California Sur, Mexico. Visit http://www.loscabosmagazine.com/ for more information. Los Cabos Magazine, the comprehensive information source for travelers since 1993, is now published quarterly in full color, in a sophisticated magazine style and offers beautiful photography, informative editorial reviews, hotel guide and beaches information in a familiar magazine size (8-1/8″ x 10-7/8″). 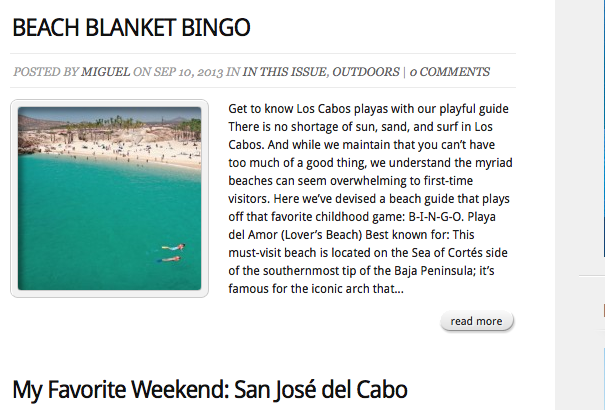 Each issue of Los Cabos Magazine contains from 116 to 140 pages, depending on season. 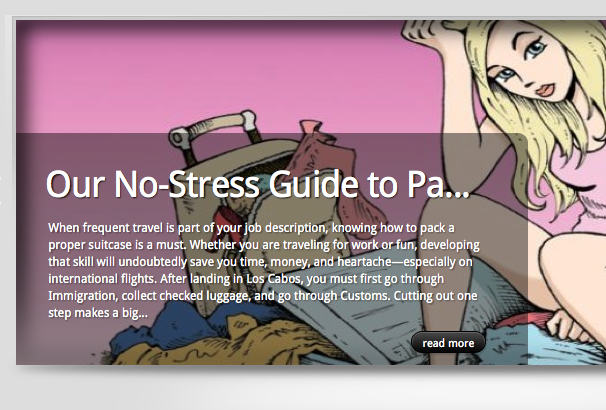 Detailed locator maps make finding your specific destination easy. Editorial features cover up-to-date changes in the Los Cabos area. Included are such details as: Changes in regulations concerning real estate ownership with a Mexican Trust, ownership through a Mexican Corporation, and vacation property ownership, the rapid growth of the golf industry. 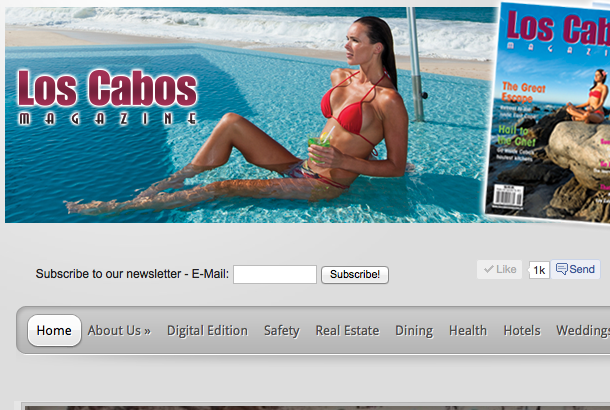 You can now view the new Online Digital Edition of Los Cabos Magazine with links to our advertisers. Visit http://www.loscabosmagazine.com/ for more information.